Do You Need to Insure a Vehicle You Aren’t Driving? Have you ever owned a vehicle you weren’t using? It may seem an odd question, since having a spare car lying around sounds like a scenario only the most well-off Canadians can relate to, but there are valid reasons for any of us to have a not-in-use vehicle. Some people own vehicles not conducive to the Canadian winter, and so keep their summer ride insulated in a garage. Others may leave their vehicle unused while they travel for a prolonged period, while others might keep the car their children drive out of commission when the brood is off at university. In such cases, it is logical to cut costs wherever possible. You won’t be taking a car you aren’t using to the car wash, nor will you be getting the oil changed or filling it up with gas. But what happens when it comes to insurance? Is it Illegal to Own an Uninsured Car? It is legal to own a car that is not insured. Insurance is only required for registered vehicles that have license plates. If your vehicle does not have plates, no insurance is required. Of course, that means any damage the vehicle suffers is your responsibility. For a vehicle that is on your property, taking the plates off is an easy solution. But if you buy a car and need to get it home, you’ll need to be a little creative. Because driving the car home (without plates) is not an option, it will need to be towed or transported in some other way. One of the reasons we insure vehicles is to protect us from liability claims that can result from a collision. 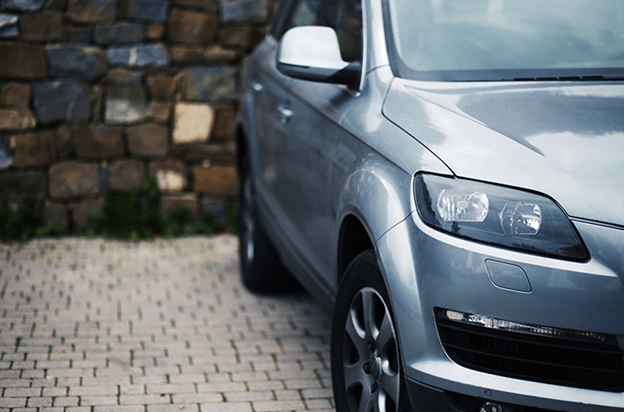 Obviously, a car that is parked on your property isn’t likely to be found responsible for causing harm to others in a collision, so liability insurance isn’t necessary. But your car is not immune to damage. A tree branch could fall on it. Another driver could slam into it. Even in a garage, your car could be damaged. And it could also be broken into or stolen. Having comprehensive coverage remains a smart play for a car you are not driving. It will keep your vehicle protected and is quite inexpensive compared to the premiums required for fully functioning automobiles. When you’re ready to get the vehicle off your lot, make sure to give your insurance company a few days to report the changes to the bureau. You’ll need to get liability coverage before you get back on the road. You’ll also need to get those plates back on, if you took them off in the first place. Like driving without insurance, driving without plates is not permissible by law. Speak with your broker or insurance agent before making any changes to your coverage.